OLD PARKED CARS. 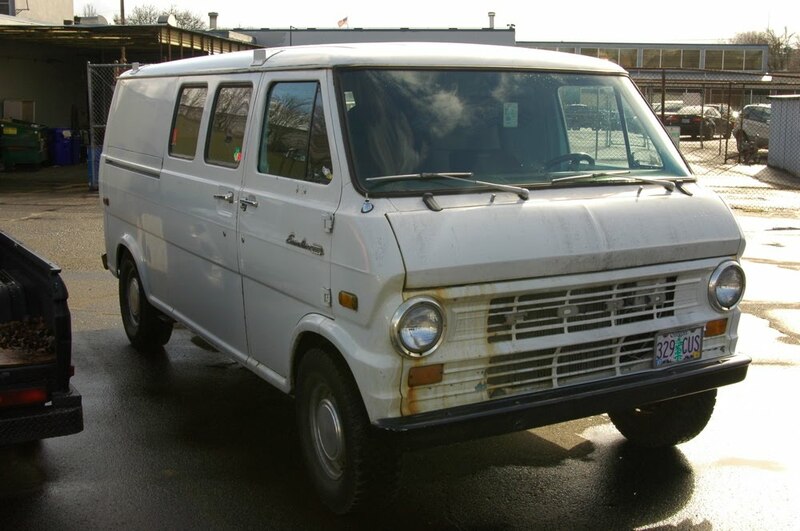 : 1970 Ford Econoline 200. Heck of a time capsule. That rust water is funny, at first I thought it was coming from hardware in the headlight bezel. But upon closer inspection, I can't figure out where the rest is coming from. Maybe a soda spilled while guy was workin under the hood? 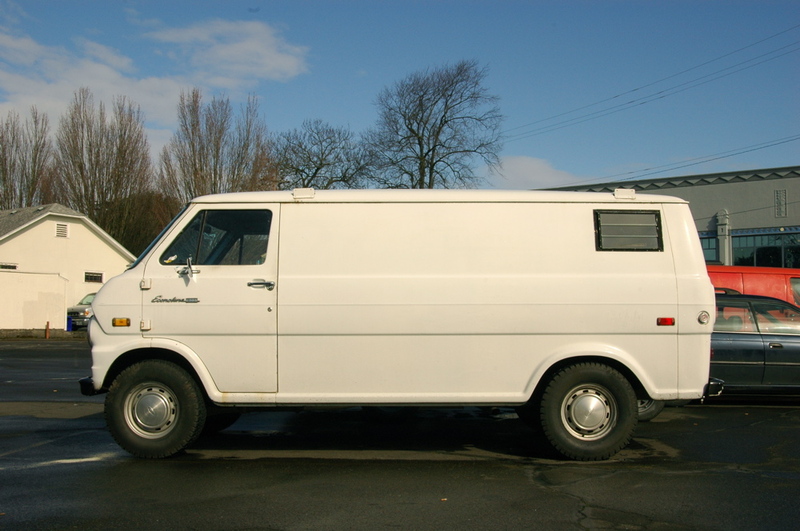 As nice as this is, I miss the exceptional patina that typically comes with classic vans. But I guess it just makes one look closer at the details. 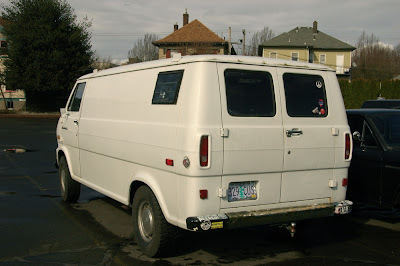 Great tail lights, gas cap location and lower chiclets. Love seeing a tiny original mirror on something so big.